Lamborghini has whipped the Nurburgring production car record out from under Porsche’s nose, less than a year after the 911 GT2 RS had set a new benchmark. The mind-boggling time of 6m44.97s is over two seconds faster than the GT2 RS’s, set in the new, ultra-halo Aventador SVJ – short for Superveloce Jota. It packs not only a tuned V12 but also Lamborghini Active Aerodynamics and extra weight reduction. Best handling was in there as well, and it all seems to have come together perfectly for the bull from Sant’Agata. 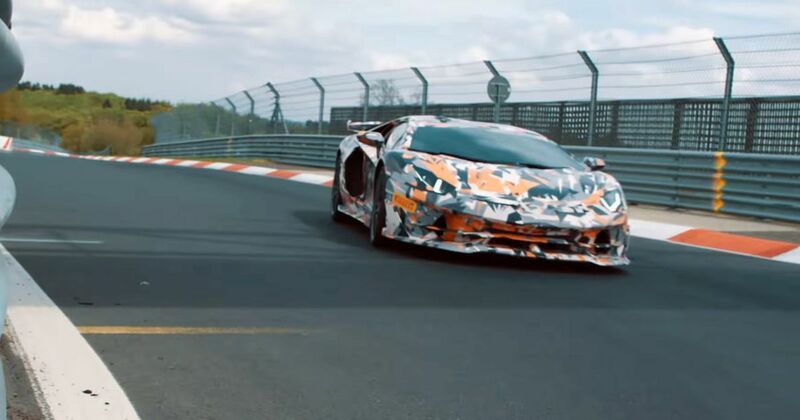 The end result is almost 15 seconds faster over the 17.5-mile track than the Aventador SV. Leaked reports quoted by Autocar claim that the SVJ delivers 759bhp to all four wheels – a sizeable traction advantage over the 911 GT2 RS, and 69bhp more to play with. The car is due for a full reveal at Monterey Car Week in August. The full lap video is due to go live soon and we’ll update this article when it does. Edit: video now added at the top.